Three crew members aboard the CASA CN-235 military training plane died Tuesday after the aircraft crashed in Turkey's southern Isparta province, the governor said. Rescue teams reached the wreck of the aircraft at a remote location in Yalvaç district, Governor Şehmus Günaydın added. He noted that there was thick fog in the area, which was likely the cause of the incident. Turkish Armed Forces (TSK) said in a statement that the aircraft took off for a planned training flight from the 1st Jet Base Command in central Eskişehir province at 11:03 a.m. with two pilots and a technician. Radar connection was lost with the plane around 12:50 p.m., and rescue teams reached the plane's wreck north of Lake Eğirdir around 2:30 p.m., it added. 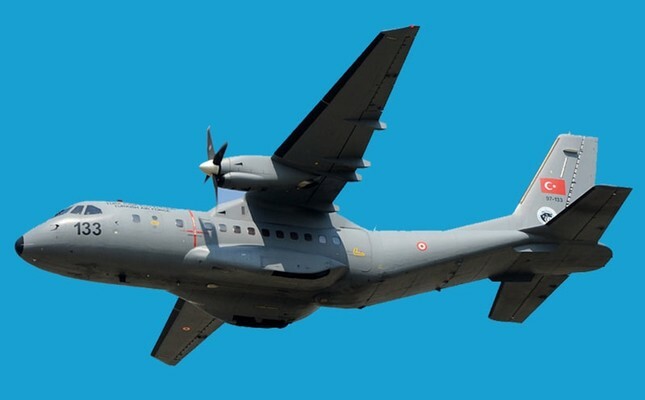 This is the fourth CASA CN-235 plane crash in the history of the Turkish Armed Forces, which is currently the largest operator of the aircraft with 59 in service for the army, navy and air force. The first crash was on Jan. 19, 2001 when three crew members died in a crash in central Kayseri province. The deadliest accident took place on May 16, 2001, when a CN-235 transport plane carrying 34 soldiers, crew members and army commandos, also known as "maroon berets," crashed in the eastern province of Malatya with no survivors. Just two days after, four soldiers died when a CN-235 crashed in Ankara, prompting public outcry about the aircraft. The latest accident brought the death toll in CN-235 accidents to 44. The CN-235 is a medium-range twin-engined transport aircraft that was jointly developed by Spain's Construcciones Aeronáuticas SA (CASA) and Indonesian Aerospace (PT. Dirgantara Indonesia), formerly known as IPTN.